Four SHA employees in the Rental Assistance Office spend are part of a collaborative team helping chronically homeless people find a place back in society. 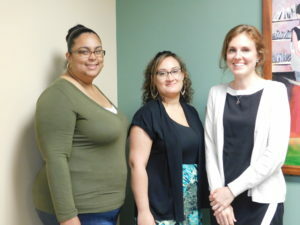 Anna Smith, Director of Operations in the Rental Assistance Office, and Program Specialists Michelle Dostie, Sheila Martinez and Marianela Ramos, are part of a working group that meets monthly to identify and process homeless people into apartments in Springfield, and then track and support them to be sure they are successful in their quest for personal independence. Rental Assitance Program Specialists Sheila Martinez and Marianela Ramos, and Director of Operations Anna Smith work on a team to help chronically homeless people find apartments and stability. 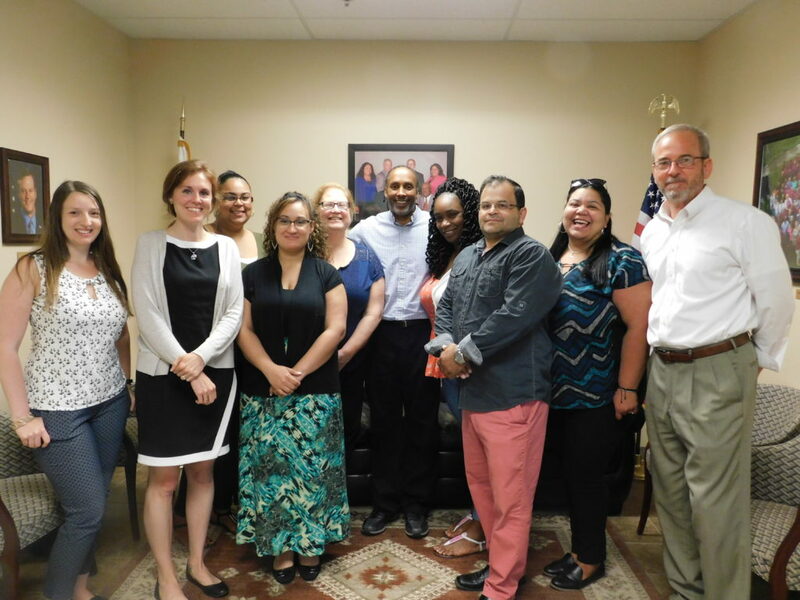 Others involved in the group include Springfield Office of Housing Director Geraldine McCafferty, Jesus Arce, housing search case manager for the city, William Miller of Clinical and Support Options Inc., which merged last year with Friends of the Homeless of Springfield. Smith, who facilitates the group in meetings held at 60 Congress St., said that members are united in helping chronically homeless people get into project-based housing with rental assistance vouchers, and then keeping track of their progress as they adjust to life in permanent housing. Eventually, most receive regular vouchers and can move to private apartments of their own choice. 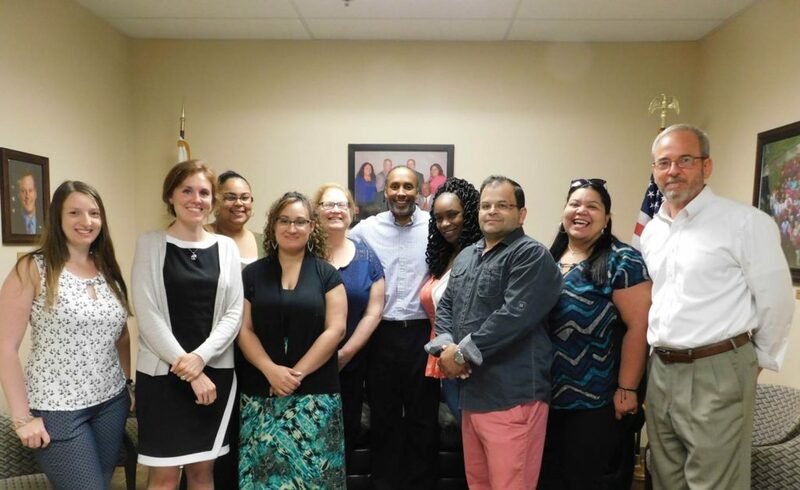 “We work together to place chronically homeless residents into housing. Then we work with residents to be sure they stay on track with their housing and other issues,” Smith said. The cooperative system began several years ago as a means to help those deemed chronically homeless – defined as continually homeless for at least a year, living in a place not meant for human habitation. In Springfield, such people often live on the streets, ending up occasionally in overnight shelters. The team includes people from Springfield Housing Authority, the city’s Office of Housing, and Friends of the Homeless. The team has helped place dozens of people into apartments where they can, with guidance, get their lives back on track. For Smith and her team, the process has been rewarding.